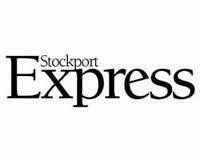 I would like to congratulate all those young people from across Stockport who have studied hard and secured their GCSEs recently. But despite the hard work and commitment shown by students, this year’s results have been marred by allegations of political interference in the marking of grades. I know that that this has had an effect on local pupils here in Stockport, who in some cases have found that they haven’t been awarded the grades that they would have hoped for, and – most unfairly of all – the grades they would have received had they taken the exact same exam in January instead of May. It is incredibly demoralising for students to feel they aren’t being marked on their merits, or even by the same standards as those who took the exam early; but against a wider political agenda to stop so-called ‘grade inflation’ mid-year. Labour in Parliament shares these concerns, particularly surrounding GCSE English, and that is why we have called on the Education Select Committee to conduct an urgent inquiry into what has happened. We also need to see what conclusion the education standards watchdog ‘Ofqual’ will reach. But, for me, it is just plain wrong for the students – who often have given up hours of their time before and after school, and in the holidays – to see their hopes of a college place dashed by what appears to be both an arbitrary political decision and an uneven playing field, with pupils in the same year group being marked against a different grade scale depending on when they took the same exam. As your MP I will do all I can ensure that this year’s exams are marked fairly. But although this episode has been more than a little disappointing, I remain incredibly proud of the continuous progress made at both the secondary schools in my constituency – Reddish Vale and St Anne’s RC – who ensure as many pupils as possible leave with good GCSE grades. It is a testament to all the hard work of both the teachers and students that they are continuing to achieve such fantastic results. I firmly believe that providing our young people with a good education is absolutely crucial for Britain’s future economic success. A good education should be a right, not a privilege. That’s something I will continue to fight in Parliament for.